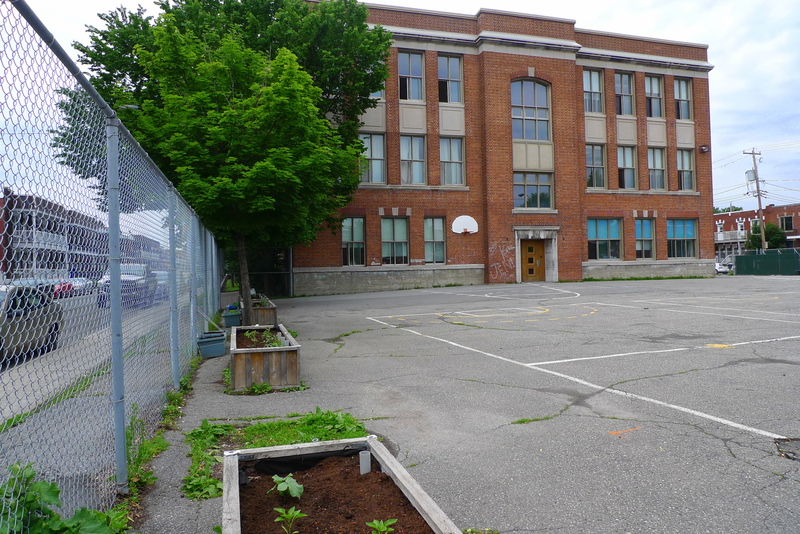 Riverview’s Roots Collective Garden is a 4 year-old project of the Riverview Community Learning Center (CLC), and is located at Riverview Elementary in Verdun. We have a growing garden, including 4 raised beds in the school yard and an in-ground plot in the grassy area near the front doors. This year, we are also trying out a new patch for growing corn, and we have planted two currant bushes and are in the midst of locating a good spot for two chokecherry plants. Riverview’s Roots is open to all community members, who are encouraged to contribute to the upkeep of the garden, learn about growing food, and share in the harvest. We meet on Thursdays between 2 P.M. and 5 P.M. to do just that! Last week in the garden, after familiarizing ourselves with all the different things growing in our garden, we learned how to sucker tomato plants, which is a form of pruning to create tall, healthy plants that maximize their fruit production. We also tied them up to stakes to help them keep upright as the tomatoes get bigger. We also learned how to identify weeds. Our younger gardeners had a good time “weed whacking”, as they called it. After the work was done, we prepared a delightful salad with our freshly harvested lettuce, Thai basil and green pepper. 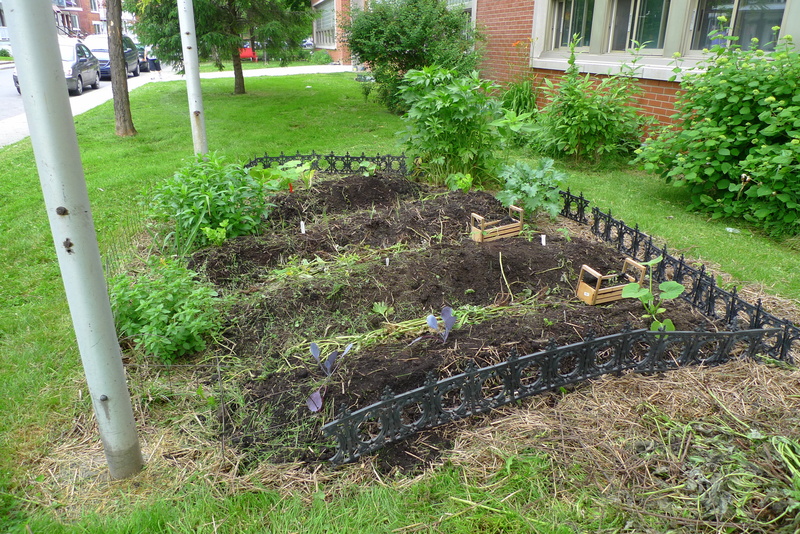 New this year, Riverview’s Roots is also hosting Pro-Actif Santé‘s summer camps one day per week for garden activities! The aim is to help these children connect to the sources of their food, to get in touch with dirt and the natural world, and to engage them in caring for growing, living organisms. This week, everybody touched and tasted strange vegetables like kohlrabi, yellow zucchini, and garlic scapes, participated in a relay race to water our raised beds, and checked up on their individually-adopted plants.